Now is the time to start thinking ahead to what you are going to get your sweetie for Valentine’s day this year since February 14th is right around the corner. 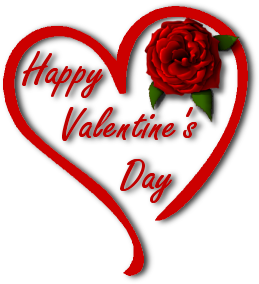 Sure you could buy your sweetheart some roses, jewelry, take him or her out to dinner or buy them some processed high fat candy chocolate for the holiday. Problem is most of us are getting older and we have to watch the cholesterol levels, heart issues, diabetes and all the other health issues that plague us as we age. So what do you do when you want to get something special but you don’t want to send the wrong message. So you and your honey have aged a bit. How do you pick out something special that is still good for them? I mean how do you give them a sweet treat that is still healthy? Thank God there is a healthy chocolate made of cold pressed chocolate that has not been heated or dutched like “candy” chocolate. No waxes or fillers, no processed sugars, just healthy cacao sweetened with acai and blueberry. This chocolate is even diabetic and diet friendly! (One power square is just 33 calories) So no worries about if this is okay for your loved ones to eat. Not only is this a sweet treat for your significant other, this is a great gift idea for mom & dad, grandma and grandpa, the kids and the grandkids. No excuses, there is actually a healthy chocolate that is good for you. Which chocolates do you pick? 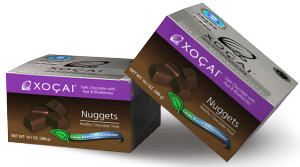 XO healthy chocolate has four solid chocolates, the Nugget, Xobiotic, Power Square and Xo Love Bites. Our most popular is the Nugget followed closely by the Beyond Xobiotic which has a creamier texture. the healthy chocolate box of the month club. (subscription) This will allow them to receive healthy chocolate every month without fail until you choose to cancel. You can also change your order from month to month if you prefer. I also highly recommend the XO chocolate variety pack that includes a small box of Nuggets, Power Squares, Omega Squares and the Xobiotic. Healthy chocolate is full of antioxidants just like what you find in fruits and vegetables. If you are not eating enough antioxidants, XO healthy chocolate is a great way to get the health benefits while enjoying scrumptious Belgian chocolate. Just remember that it is important to eat at least three pieces every day, morning, mid day and evening to maximize the health benefits of antioxidants in your body. For those dieting, a piece of healthy chocolate 20-30 minutes before a meal will curb your cravings like you would not believe! Hurry and order the love of your life some healthy chocolate this valentines day. 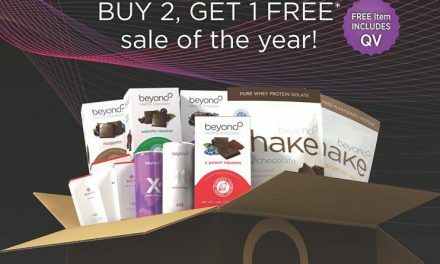 Any questions, just call Lynette Henk, Well Beyond promoter at 941-216-5727, at [email protected] or MyChocolateVitamins.com. NextUpset You Don’t Qualify for Silver Sneakers? See If Your Medicare Plan Includes Silver & Fit. Upset You Don’t Qualify for Silver Sneakers? See If Your Medicare Plan Includes Silver & Fit.